Jeri’s Organizing & Decluttering News: Good Gourd! 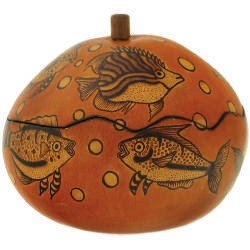 These stunning gourd boxes are handmade in Peru, in a village of 50 families where gourd carving has been practiced for generations. They come to us from Lucuma Designs, a member of the Fair Trade Federation. There were so many lovely designs that it was hard to select just a couple to show you! So if you want something out of the ordinary for storage of small items, here's something to consider. 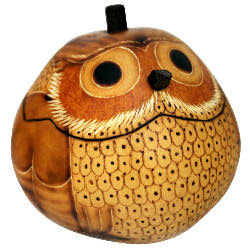 i really like the owl gourd. it reminds of an antique McCoy cookie jar that my mom has.